I chose David Vann as my V author for The Great Library Challenge, and I wasn't disappointed. 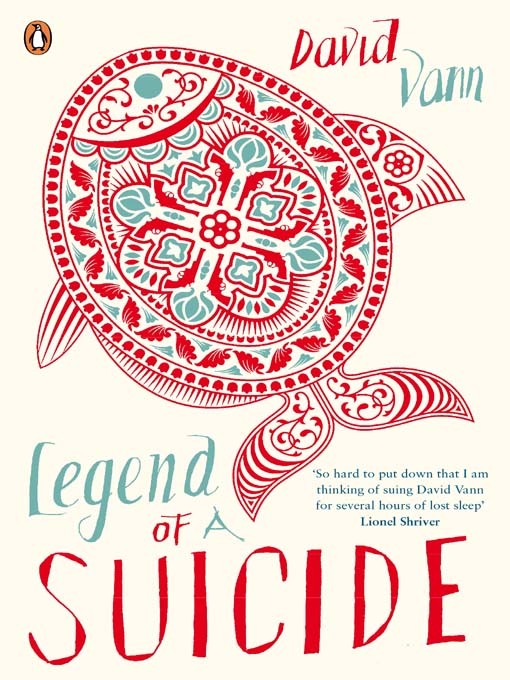 Legend of a Suicide is a collection of a novella and four short stories... but I wish someone had told me that before I started. 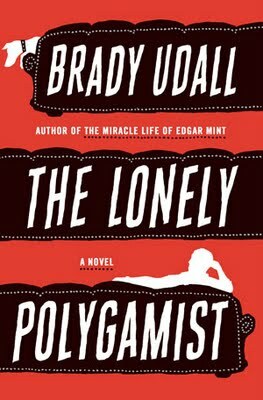 I read it as a single long novel, and the fact that the characters are the same in all the stories didn't help with the confusion. The book is semi-autobiographical, as it's about a boy named Roy and his suicidal divorcee father Jim who's a retired dentist who fails at fishing and eventually buys a house in the middle of nowhere, Alaska, and asks his son to stay with him for a year and then commits suicide. In real life, David Vann had a ex-dentist suicidal divorcee father who failed at fishing, bought a house in the middle of nowhere, Alaska, asked David to stay with him, and then committed suicide shortly thereafter. The short stories are lovely to read in themselves - beautifully written, poetic in their descriptions and Vann manages to capture the many micro-subtleties of human emotion - but it's the novella that's a breathtaker. 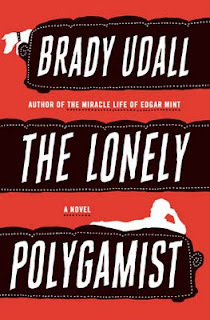 The novella is the part that describes Roy and his father's adventure in remote Alaska, doing the Bear Grylls survival-thing: hunting, fishing and building things. In the book, Roy accompanies his father in a desperate attempt to keep him alive, as he's sure that left to his own devices, his father will commit suicide. In real life, David turned down his father's offer of going to Alaska with him, and soon after, his father committed suicide. The novella is like a kind of emotional and/or spiritual purging for Vann, imagining what might have happened had his decision been different. The raw emotions and truly pathetic weakness of Roy's father is simply infuriating. He sobs himself to sleep every night (with his 13 year old son sleeping in the same room), makes emotional confessions to a boy not old enough to process them, attempts to kill himself by stepping over a ledge in the middle of nowhere (how on earth did he expect his son to survive if he'd died?) and tries to emotionally blackmail his second wife into taking him back by saying he'll shoot himself through the head right there on the phone with her if he doesn't. All this leads to tragic and shocking consequences that you simply don't expect, a sudden twist from the author that simultaneously brings (one imagines) release and revenge at the same time. 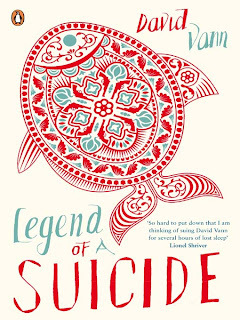 Legend of a Suicide is a truly intriguing read that continued to haunt me for a few days after. I'm an unashamed fan of Jane Austen and my only regret is that she didn't write more than the six novels she left behind as a legacy. 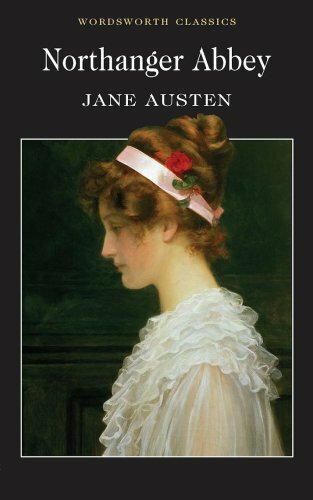 For the past 20 or so years, I've read and re-read Pride and Prejudice the most (I estimate I probably read it over 35 times), followed fairly closely by Emma, then Persuasion, then Sense and Sensibility. I read Mansfield Park perhaps twice, and Northanger Abbey only once, because the two heroines Fanny Price and Catherine Morland annoyed me with their passivity and lack of wit - so unlike my favourite Elizabeth Bennett! Anyway, having done a re-read of all her six works in recent months, I've decided to review them all through fresh eyes. Let's start with the one least travelled by. Perhaps more than any of her other books, re-reading this one surprised me the most because I realised my memory of it was so imperfect and prejudiced. I probably read it for the first time at around age 16, so coming back to it two decades later gave me an entirely new perspective. I realised that Austen was doing something completely different with this book than her others. It's not just a straightforward novel - it's in fact a tongue-in-cheek parody of the gothic novels that were so popular at the time. It pokes fun of gothic sensibilities - the expectation of dark horrors in every empty wing of a large estate - through the very virginal and supremely innocent eyes of Catherine (Kitty) Morland. So influenced is she by these novels, that she makes a fool of herself in front of Henry Tilney, the love interest in the book. The interesting thing about Northanger Abbey is how the tone is so different from her usual slightly detached but affectionate and wry narrative voice. There's something almost comedic in her tone, and this really saves the book from becoming insipid. I have to admit I missed it the first time and found it quite unlikeable. Because Kitty is so witless and innocent, it's easy to mistake Northanger Abbey as the same, but I found a new enjoyment of it this time and was much more charmed by it than before. I chose Paul Theroux for The Great Library Challenge T author because he's one of those authors you hear about but (in my case anyway) have never read. 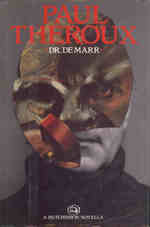 Dr De Marr is an eerie novella with a very creepy cover and several even more creepy illustrations throughout. The story is about very short identical twins, George and Gerold De Marr, who are bound to each other by intense hatred and a desire for the other's death. When their parents pass away, they finally sever the invisible umbilical cord between them and live their lives free of each other for decades, until one day, George suddenly appears on Gerald's doorstep out of the blue. Shortly after, Gerald finds George dead in a chair upstairs and soon begins to unravel the seams of his mysterious secret life. He finds that George has been posing as a wealthy doctor, and soon enough, he assumes this false identity to enjoy its benefits. But of course, the very things that George was running from catch up with Gerald and he finds himself very quickly out of his depth. Theroux writes with an eerie absence of emotion that casts shadows on every page. The handful of characters that appear in the pantomime are hard to read as they all seem to have their own agenda, of which you're constantly left in the dark. It's quite a horrid story, adeptly told, with the punchy circular logic of a good short story. But personally, I like my stories with a little more light. Jane Austen sure knew how to write a great story, as evidenced in the multiple modern-day film adaptations of her work. So I've decided to do a bit of a comparison to see who's done it best, going in chronological order. This was a really smart adaptation of Emma, transported into LA's superficial Beverly Hills high school scene. Didn't we all fall in love with Alicia Silverstone's irresistably clueless Cher and Paul Rudd as her dorky ex-step-brother? They got the ingredients just right because although Emma is a privileged meddler who thinks a little too well of herself, at heart, she's a well-meaning and kind person who gets things wrong. It's a nice bit of narcissism for the reader/viewer to be more astute and insightful than the girl who knows everything but her own heart, and it's nice to see her humbled a little. Amy Heckerling did a great job of injecting absurdist humour, poking fun of modern teenagers (like the bumful of underwear showing under low-slung jeans) while also making them endearing and even quite delightful to watch. Just as it's easy for people to overlook Austen as a bit of fluff about women's obsession with marriage and climbing the social ladder, it's easy to write off rich kids as spoilt brats. But instead, with both Emma and Clueless, we get a reminder that people are people no matter what social culture you belong to, and that we're really not that different at heart. A simply superb adaptation of Pride and Prejudice with Elizabeth Bennett as a modern, slightly chubby Londoner in the form of Bridget Jones, played to perfection by Renee Zellwegger. While it isn't strictly true to Elizabeth's character (she's witty and intelligent whereas Bridget is kind-hearted and perceptive but very much accident and embarrassment prone), she's just as endearing. 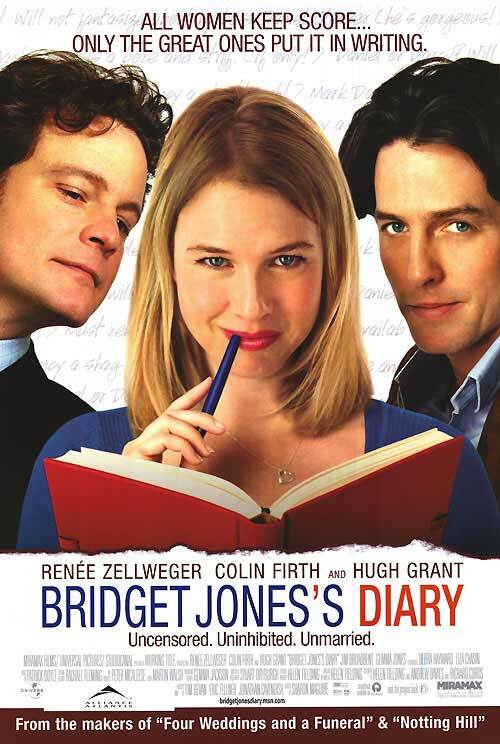 What they do really well in Bridget Jones is bring the fiery love/hate sexual tension between Elizabeth and Darcy to life while making it really funny rather than dramatic and intense. The foibles of the modern independent woman are humorously portrayed and the common theme of people just wanting love, no matter what era you live in, plays out nicely in what is essentially a love story. Helen Fielding's humour translates well into film, and the characters are modernised scrupulously well. Even Daniel (the wicked Wickham) is someone you love to hate rather than just hate. This is my favourite adaptation so far. 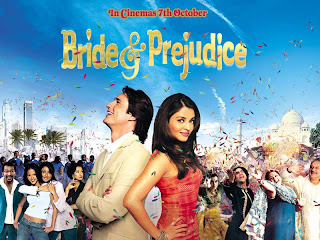 This is Pride and Prejudice with all the colour, verve, drama and music of Bollywood. Instead of Elizabeth we have gorgeous Aishwarya Rai as Lalita, in Darcy's place we have wealthy American hotelier Will, and instead of starched British manners we get people breaking into song and dance, like the memorable 'no wife no life'. Gurinda Chadha does a great job bringing this story to life, focusing on the common themes of Austen's England and modern day India - like Mrs Bakshi's obsession to marry off her daughters (if only Mrs Bennett had had the resources of IndianMatchmaker.com) and the idea of arranged marriage versus love marriage. There are a few times when it slips into a little bit of cringe, like the love scenes of Lalita and Will looking into the sunset, playing in the fountain and walking on the beach, which perhaps were deliberately OTT to poke gentle fun at Bollywood films, but overall it's a good girlie film and quite true to the original novel. I watched this a little reluctantly as I had a feeling I might regret it, but as an adaptation of Sense and Sensibility I felt a certain responsibility to watch and report. It's a Latina version that's tried to do a cross between a cultural Bride and Prejudice type thing on an obviously smaller budget, and a playful Clueless thing without the witty script. The Dominguez sisters fall from great heights when their wealthy father passes away and they're relegated to the very modest East LA home of their very Mexican Aunt - a culture they've had almost nothing to do with and in fact seem quite ashamed of at first. Almost from the first scene the characters are more like caricatures and the level of predictability is breathtaking. But it's not all bad. I liked that Nora (the ever-responsible Elinor) is re-envisioned as a law student fighting for the underprivileged, but I wasn't so crash hot about the stereotyped Mexican cleaners whose case she takes up and, through the process, falls in love with her boss Edward Ferris. Colonel Brandon is reinvented as a thug-looking tattooed handyman/artist with a heart of gold (a very surprising turn by an unrecognisable Wilmer Valderrama, The 70s show's Fez), which isn't too bad, but the very passionate Marianne is turned into a spoilt shallow rich girl who totters around on high heels in constant miniskirts and just wants to marry up to go back to Beverly Hills. In the end she bears almost no resemblance at all to Austen's original character. I wouldn't recommend this movie unless you want to pass an hour and a half with Latina cliches and some vague semblance of Austen's plot. In my opinion, this is probably the worst adaptation. Have I missed any movies that have moved Austen's novels into the modern day? And which is your favourite?